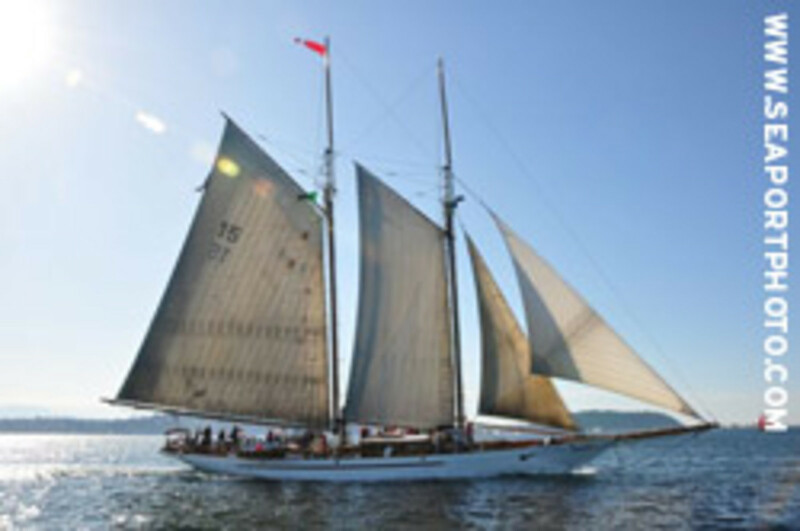 Sound Experience, an organization based in Puget Sound, Wash., that uses the 97-year-old schooner Adventuress as a platform to highlight the role oceans play in the environment, is encouraging the public to vote online in an indirect fund-raising drive to raise $125,000 to restore the vessel&apos;s stern. The sail training ship is one of 25 historic sites in the region competing for votes in order to gain $100,000 in the Partners in Preservation grant program, which is sponsored by American Express. The winner is determined by which receives the most votes by May 12. "It&apos;s a very appropriate topic for Earth Day, given how invested we are in the environment here at Sound Experience," said Catherine Collins, executive director of the non-profit group. "We modeled our schooner after Pete Seeger&apos;s work to clean up the Hudson River using the sloop Clearwater as a means to inspire the public to action." Adventuress is a 133-foot, gaff-rigged wooden schooner. She was commissioned in 1913 and was built by the Rice Brothers in East Boothbay, Maine, according to Collins. She was owned first by John Borden II of Chicago, founder of the Yellow Cab Company, and he sailed her south through the Straits of Magellan and north into Arctic waters, hunting - unsuccessfully - for bowhead whales. She was then sold to the San Francisco Bar Pilot&apos;s Association in 1914 and derigged to become a workboat for the next 35 years, transferring pilots to large ships entering the bay. After 10 years on the hard beginning in 1951, she was restored to a new life as a sail-training vessel in Seattle in 1962. When Sound Experience was formed in 1988, Adventuress was purchased and has been used by the organization ever since. "Also people that vote for our boat and tell us can be in the running to win a free sail aboard Adventuress for three hours, with up to 45 people," said Collins. "Since we are a non-profit organization, this money will help us continue our valuable program as well as keep a piece of our history alive in the Puget Sound."